When you find a genealogy record for your ancestor (especially one from across the pond), it’s exciting. But it also can be frustrating if you can’t read the language it’s written in or if you can’t read the fancy script handwriting. 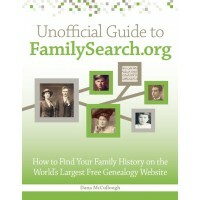 FamilySearch.org has a couple of resources to help you when you encounter these frustrations. FamilySearch.org’s Genealogical Word Lists cover about 20 different languages. The Word Lists provide translations of common terms you’ll see in genealogical documents, such as dates, family relationships, numbers, and more. FamilySearch.org also has Handwriting Helps. Although this information is provided mostly for volunteer indexers who assist FamilySearch.org, it also can help the average Joe genealogist. This resource offers handwriting examples with how different letters may look in one of 10 languages. Once you choose a language from the Handwriting Helps, look at the left for links to video lessons with tips on the language’s alphabet, phrases, and reading the handwriting. You also can download or print a list of variations for each alphabet letter. If you get stuck trying to read one of your ancestor’s records, turn to these two resources for free help. This is very helpful! I have an old journal from 1849 that I’ve struggled to decode in places. I’m sure these resources will help. Glad you found this post helpful! Good luck with your research.